Zimbabwe news !!! The latest and breaking news from Zimbabwe !! : Herdboy from Bikita abducted six pupils who were coming from school and raped them one after the other while ordering them to cheer him on. Herdboy from Bikita abducted six pupils who were coming from school and raped them one after the other while ordering them to cheer him on. 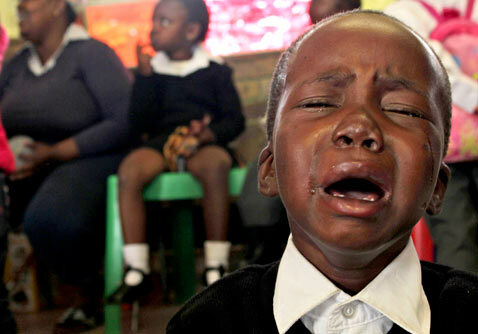 AN 18-year-old herdboy from Bikita in Masvingo allegedly abducted six Grade One pupils who were coming from school and raped them one after the other while ordering them to cheer him on. The incident, which was confirmed by Masvingo provincial police spokesperson Inspector Peter Zhanero happened some time last week. He said the suspect was still at large and police have since launched a manhunt for him. “Yes I can confirm receiving the report and we are appealing to members of the public who may have information about Abraham Zunguza’s whereabouts. The suspect disappeared after he allegedly abducted six Grade One girls and raped them,” said Insp Zhanero. Zunguza of Village 28 in Chief Ziki area is suspected to have skipped the border to neighbouring South Africa after the matter was reported to the village head. Sources said on an unknown date but sometime last week at around 12 pm, Zunguza who was armed with a catapult, knife and in the company of dogs met a group of children coming from a primary school in Bikita. He tactically separated boys from girls by sweet-talking them to engage into a mini-running competition. When they were a distance away, he allegedly ordered them to disappear as he would unleash his dogs on them. The boys allegedly complied and they started to run, thereby leaving the six girls at his mercy. Zunguza allegedly ordered some who were waiting for their turn to cheer him on and threatened to stab them with a knife if they dared report the matter to anyone. After holding them captive for more than three hours, Zunguza left his victims and upon arriving home, they all told their parents what had happened. The parents teamed up and approached the village head who called all the boys from Village 28 to an identification parade. Unfortunately Zunga did not turn up and a police report was made but he was nowhere to be found.